Britain's rail franchise system no longer delivers clear benefits and cannot continue as it is, says the man leading a review of the network. Keith Williams said in a speech to industry leaders that firms are not adapting to changing consumer demands. Rail franchising - contracting out passenger services - has drawn heavy criticism, with some contracts failing and customer complaints rising. The rail industry said it accepts that the status quo cannot continue. Mr Williams was appointed by the government last year to lead a "root-and-branch" review of the rail network. Speaking in London, he said: "I have heard a great deal about the franchising model… driving growth in passengers and benefits to services. But with this growth, the needs of passengers have changed, whilst many of the basic elements of our rail system have not kept pace. "Put bluntly, franchising cannot continue the way it is today. It is no longer delivering clear benefits for either taxpayers or farepayers." The current "one-size-fits-all" approach to franchising does not work for every part of the country and every passenger, he said in the annual Bradshaw Address, named in honour of George Bradshaw, who developed the Bradshaw's Guide to the railways. However, the former British Airways chief executive, who is now deputy chairman of John Lewis, acknowledged that "there's real hunger for change within the industry as well as outside". The Rail Review was set up to recommend the most appropriate organisational and commercial framework for the network. The government will publish a White Paper in the autumn based on the review's recommendations, with the implementation of reforms planned to start from 2020. Last year's timetable fiasco, failed franchises and delays caused by strikes have put the spotlight firmly on the UK's ailing rail network. Punctuality across Britain sank to a 13-year low in 2018, with one in seven trains delayed by at least five minutes as a series of major issues plagued the railway. Mr Williams said: "I see our role not just to tackle those recent problems that passengers have experienced, but also to tackle the more fundamental underlying causes of those problems." Passenger groups welcomed Mr Williams' comments. Independent watchdog Transport Focus said: "At the halfway point of his root-and-branch review, Keith Williams is right to acknowledge that the rail industry has lost sight of its passengers and must put their needs and experience at the heart of what it delivers. "Having consulted Transport Focus promptly, he also knows that our research shows that passengers want to know someone is in overall charge of the railway and answers for the quality of services. "Passengers will judge the success of the Rail Review on how far it meets their priorities for improvement: more punctual and reliable services, more chance of getting a seat or standing in comfort and better value for money." The Rail Delivery Group (RDG), which represents train operators and Network Rail, accepted that there was a need "for big and lasting change". RDG chief executive Paul Plummer said: "As we've long argued, maintaining the status quo on the railway is not an option." Last week, the RDG published proposals to change the fares and ticketing system, suggestions that it has fed into the Williams Review. The majority of rail services in Britain are operated by fixed-term franchises, which involve the Department for Transport (DfT) setting out a specification covering areas such as service levels, upgrades and performance. Train companies then submit bids to run the franchise and the DfT selects one of the applicants. 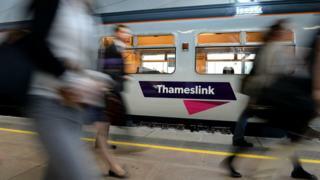 A report by the Commons Public Accounts Committee (PAC) in April last year claimed the DfT's management of the Govia Thameslink Railway (GTR) and Virgin Trains East Coast franchises was "completely inadequate". The GTR network was marred by an "appalling level of delays and cancellations" while the department "failed to learn the lessons from previous failings" on the East Coast route, according to the committee. PAC chairwoman Meg Hillier said at the time that passengers are paying the price for the "broken model" of rail franchising.